Top Yo - Cool New Bi-Metal Design! Top Yo is a company based out of China making some pretty cool new designs, and once we threw their latest bi-metal model we knew we had to have it! This is the Neptune! 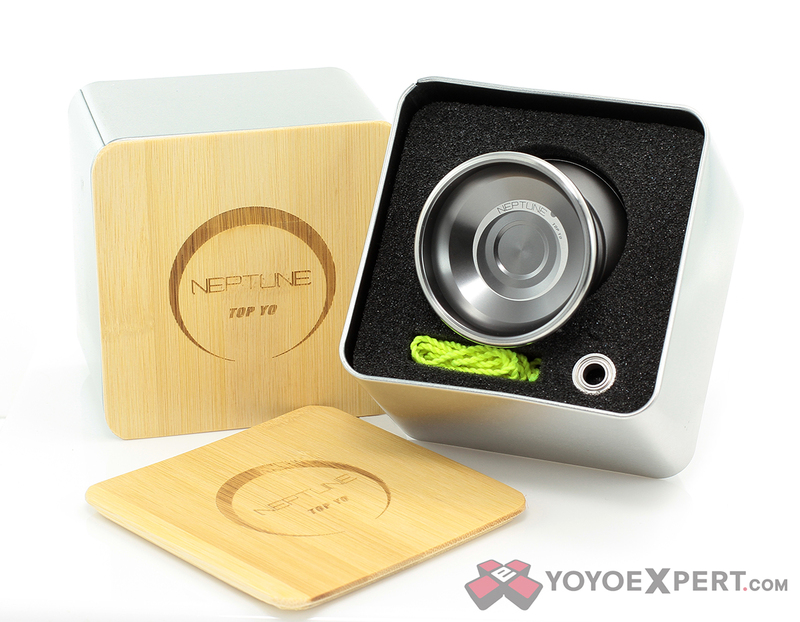 Top Yo avoided the straight v-shape bi-metal design and chose a more organic H profile for the Neptune. The profile gives it a more comfortable feel in hand and a really fun feel in play without losing that stable long spinning bi-metal performance you're looking for. The Neptune has a nice blasted finish and the ideal cup for fingerpsins, but the most creative part of the Neptune is the POM inserts that create the step around the response pads. This clever smooth plastic insert keeps the string away from the blasted finish of the yo-yo body which reduces wear on the string, reduces snags in horizontal play, and provides for a longer smoother spin time! 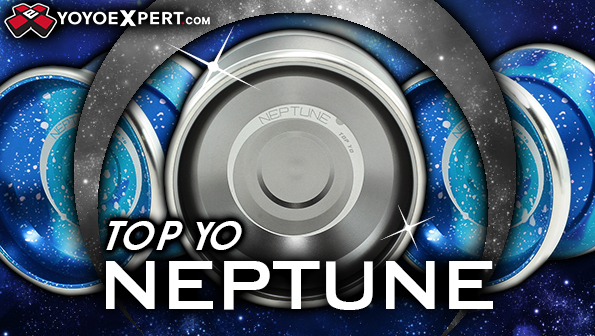 The Top Yo Neptune finds the perfect balance between speed, stability, and maneuverability in a cool new bi-metal design!